Coy began coaching at Gold Star in the summer of 2005. He began choreographing in 1990 for various hip-hop groups and started teaching in 1995. 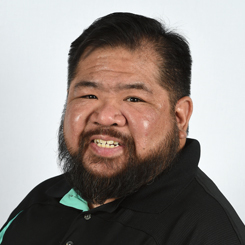 Over the years his resume has come to include teaching folk dance, street dance master classes, choreography for theatre, and cheer. He has his US All-Star Federation Dance Certificates, and was an extra in the movie Beverly Hills Cop 3, filmed at Great America.